Another aspect I enjoyed was the narrator, D I Kim Stone. Stone has a complex history; she’s short on people skills; and she has an obsessive-compulsive streak that makes her a pain to work with, but gives her an advantage as a detective. She’s tenacious and, although she does her best to hide her emotions, she has a soft streak. I can see her making a good series character. One day the names of these three [murdered] girls would be plastered across a Wikipedia page. It would be a link from the main article depicting Black Country history. The triple murder would forever be a blemish on their heritage. Readers would skate past the article describing the achievements of the Netherton chain makers who had forged the anchors and chains for the Titanic and the twenty Shire horses that had pulled the one hundred tonne load through the town. The metalworking trade that dated back to the sixteenth century would be forgotten in the face of such a sensational headline. 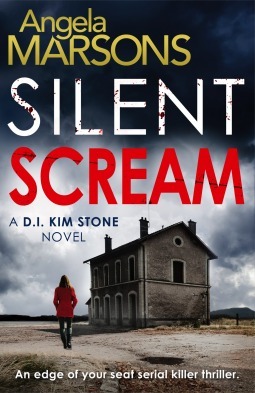 Overall Silent Scream is competent, with flashes of something really interesting.